TL;DR: fat loss is about diet. Yes, diet. Strength training builds/retains muscle, so do it. HIIT cardio helps some, steady state cardio a bit as well. But really, it's mostly diet. If you want to understand more about this, you could look into starvation literature. On a reduced-calorie-only approach, about 25% of your weight loss comes not from fat but muscle. Which is among the key reasons diet-only approaches fail. Among exercises, it's strength training which builds muscle, not cardio, which is why a running-only exercise approach won't get you ripped either. This is also a major reason why I find the emphasis on "weight" loss in both mainstream and medical literature immensely frustrating. What really matters is the relationship between two tissue types, subcutaneous fat and skeletal muscle. They're gained and lost through very different mechanisms, and play very different roles in body function. Confounding both as "weight" is an immense disservice. That's based on a classic 5x5 lifting program. It's simple. It's effective. After the first few weeks, it's pretty brutal. But for a novice trainee there's hardly anything more effective. Weight lifting 3x a week for a little over an hour each time. Going to the gym can be daunting if you have never done it and/or don't have a buddy. "I don't know how to use the equipment", etc. I read Starting Strength and afterwards felt confident enough to get in there and try it out. Strong Lifts follows the same philosophy as SS, but has modified the workout some. The stronglifts site does cover nutrition (calorie/protein intake) to some extent, which SS does not. I would do some research on your own first before starting a routine. There is a lot of controversy as well as misinformation about the topic. Free weight strength training is one of the greatest things you could do to improve your health. The program to which you refer (http://stronglifts.com/stronglifts-5x5-beginner-strength-tra...) seems to be a slightly different spin on Mark Ripptoe's legendary Starting Strength program (http://startingstrength.wikia.com/wiki/The_Starting_Strength...). 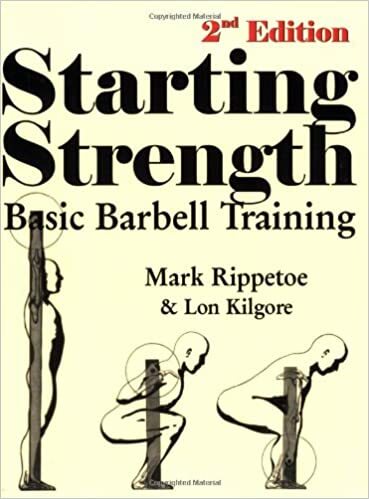 If you are serious about improving your strength and health in general, buy Mark's book (http://www.amazon.com/Starting-Strength-2nd-Mark-Rippetoe/dp...). It is probably the best $30 investment I have ever made. NB: I am in no way affiliated with Mark Rippetoe. I simply have incredible respect for the man.